The distribution of BlackBerry 10 OS versions is just as boring as you would expect it to be for an abandoned operating system. 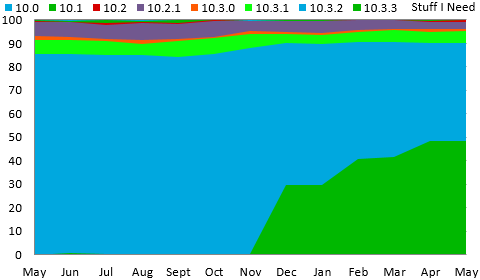 Almost all users are on some variant of OS 10.3.X with roughly half running the newest point release. This data was collected by BlackBerry World for downloads of the free strategy game Pixelated and the free checklist app Stuff I Need. Data shown on the chart is from the beginning of May 2016 through the end of May 2017. As a developer, a lot of time is spent continuously refreshing a web page. This can be made faster by using a keyboard shortcut, for most browsers refreshing is done by the F5 key. However, despite repeated requests Google has still not built in this functionality to the Mac OS version of Chrome. Fortunately there is another way to add this feature. It is a bit of a work-around, but this adds the ability to use the F5 key to refresh a webpage when using Chrome on the Mac. After eight years of requests, Pixelated Plus is finally available for the iPhone. This new version of the game has all the same features as the BlackBerry and Windows releases of Pixelated. A one time in-app purchase can be used to unlock all statistics and features and grid sizes in the game. The BlackBerry 10 version of Pixelated Plus has also been updated to add make showing the number of remaining moves in a game to be optional. Pixelated is an addictive puzzle based strategy game that requires a mixture of skill and luck in order to accomplish. The object of the game is to change the colour of the squares until the entire screen is a single solid colour. Starting with the square in the upper left corner you can change the colour of the blocks in order to match that of the surrounding squares. This is done repeatedly until the entire screen is a single colour. The object of the game is to clear the screen in as few moves as possible. Under the default settings you must do so in under 22 moves in order to win. The game is controlled by the large colored blocks at the bottom of the screen. The launch of BlackBerry 10.3.3 remains slow, but has finally reached half of the users running BlackBerry 10 phones. Use of BlackBerry’s newest (and final) OS has reached 52.8% of Pixelated users, and 48.5% of users of the Stuff I Need app. This data was collected by BlackBerry World for downloads of the free strategy game Pixelated and the free checklist app Stuff I Need. Data shown on the chart is from the beginning of April 2016 through the end of April 2017. The BlackBerry 10 game Head Words has been updated to version 1.4 in BlackBerry App World. This update expands the number of items in the game’s existing categories. This is partially to account for new movies and tv shows that have been released since the last update, and partially to simply add more depth to the other categories. 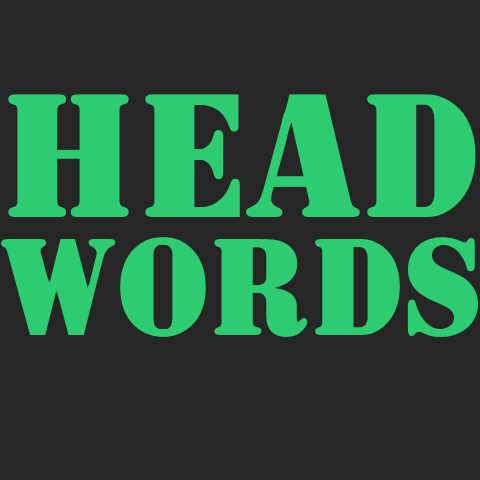 Head Words is a native multi-player guessing game where after selecting a category, one player places the phone on their forehead while the other players give clues. With one minute to guess as many words as possible, the player can tilt the phone down for each correct answer, or tilt the phone up to pass. At the end of round a word list will show what was guessed right and wrong. The swipe down menu provides an option to turn the sound on or off. The game includes five categories for free, and the option to purchase access to ten additional categories for a dollar each. Video Money Count is a Chrome extension that estimates how much advertisers had spent advertising against a video. The extension simply adds the estimate below the view count on all YouTube pages. 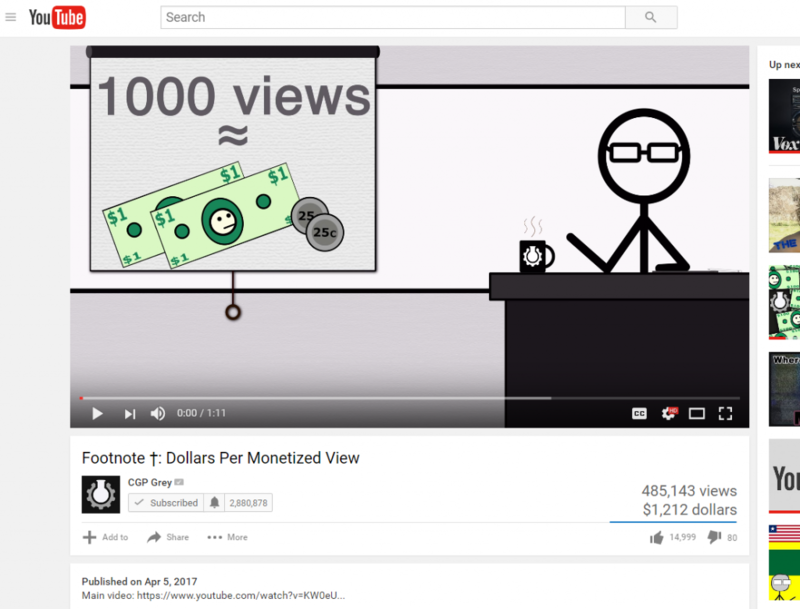 The extension was inspired by a recent CGP Grey video that has been automatically updating the title to reflect the video’s estimated advertising spend. This extension uses that same estimation technique to approximate how much advertisers have spent against a given video. With the college hockey season wrapping up this weekend, I am using my Elo ratings to predict the results of the final weekends games. Elo correctly predicted 10 of the 12 games in the tournament’s first weekend, and already has predictions ready for Thursday’s games. The First Rule comment blocking application has been updated to version 1.1 in the Chrome storefront. 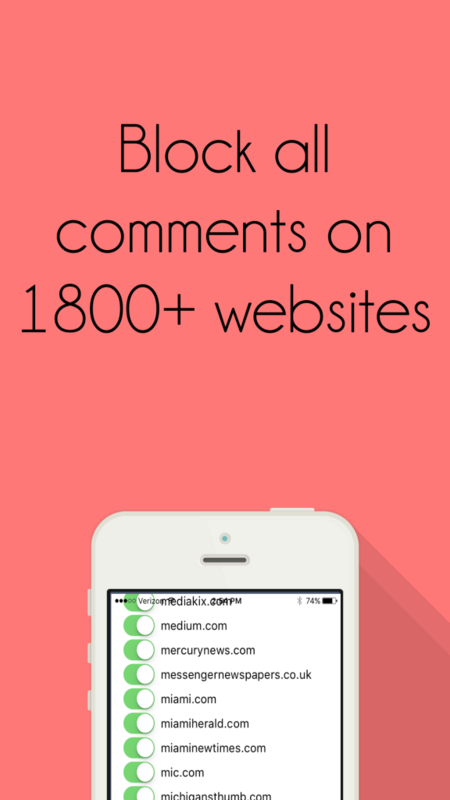 This update adds comment blocking on an additional 150 domains, bringing the total number of websites with blocked comments to over eighteen-hundred. Last month saw the launch of BlackBerry 10.3.3 which resulted in the BlackBerry 10 OS distribution in changing for the first time in a year. One month later, there is once again no change from the previous month as the rollout of the final version of the OS appears to have already stalled. January once again saw the vast majority of users running the older 10.3.2 OS. So far less than a third of all users have moved to 10.3.3, and given the lack of carrier interest it is questionable if they ever will. This data was collected by BlackBerry World for downloads of the free strategy game Pixelated and the free checklist app Stuff I Need. 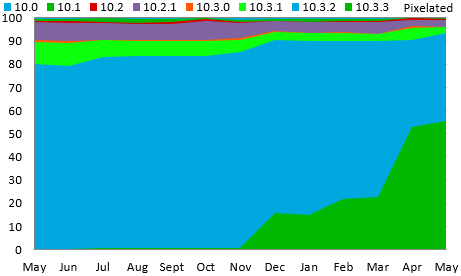 Data shown on the chart is from the beginning of January 2016 through the end of January 2017. Two years ago I wrote a site to rank NCAA hockey teams. The Elo based rankings have been publicly available for a while now, but in addition I ended up writing a bit of an API that has technically been released, but never publicized. The url ebscer.com/collegehockey/api/<season>.json will return a json formatted data dump representing all games in a given season. Each game lists the date, home team, away team, home score, and away score for each game. For example all games in the current season are listed at ebscer.com/collegehockey/api/2016-2017.json Data goes all the way back to the 1998-1999 season. I am happy to let anyone use this data, and just ask that you be respectful of the servers. The Weather Beautiful app has been released for Windows 10. 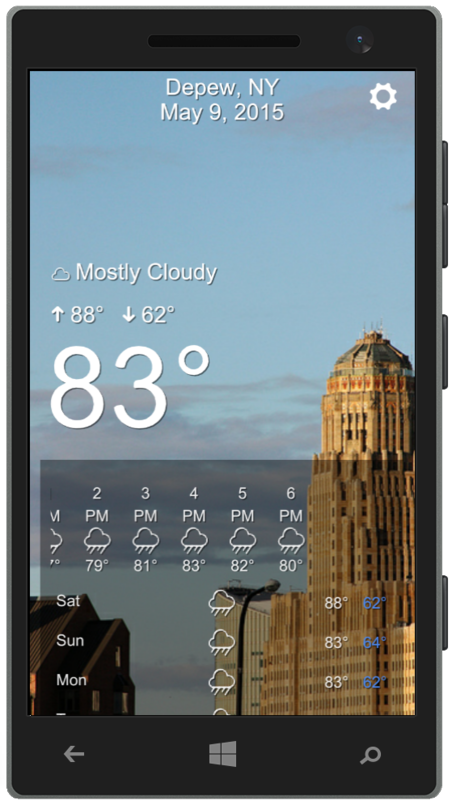 This weather app is available for both desktops and phones, and is equivalent to the versions for with the Android, BlackBerry, and iOS. Weather Beautiful is a simple weather app that displays stunning photography of your surrounding area. In addition to the current temperature and weather conditions, the app also allows you to scroll for a full weekly forecast. While temperatures are shown in Fahrenheit by default, there is an option to switch to Celsius. 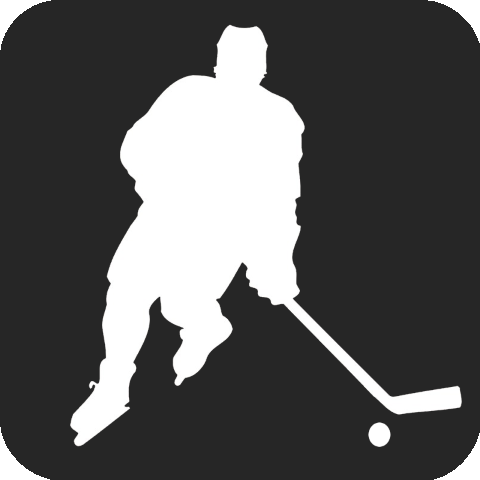 The Hockey Scores app has been updated to version 4.2 for iOS and BlackBerry. The app now has a ‘Shots Attempted’ stat that shows the total Corsi shots that a team has taken. Additionally, this update also shows the times of upcoming games in either a 12 hour or 24 hour format based on the settings for the phone. For iOS there is also a new option to adjust the app’s background color from the system settings app. In addition to showing the scores of each game, the app also shows the game time, shot on goal, shot attempts, hits, faceoff percentages, and a full list of all of the game’s goal scorers. A one time in-app purchase can be used to remove all advertising from the app. The first rule of the internet is “Do not read the comments”. Should you ever read the comments at the end of the article, or below a video you never end up smarter, but instead end up irrationally angry because some stranger is saying something dumb. 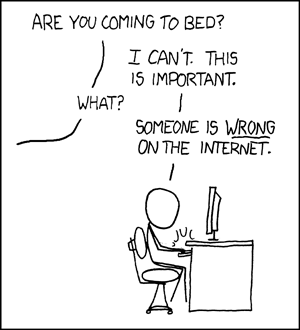 Yet despite knowing this, not reading the comments is often easier said than done. Scrolling down you see them, just begging you to engage. Even if you resist replying, just reading through is wasting your time and your sanity. 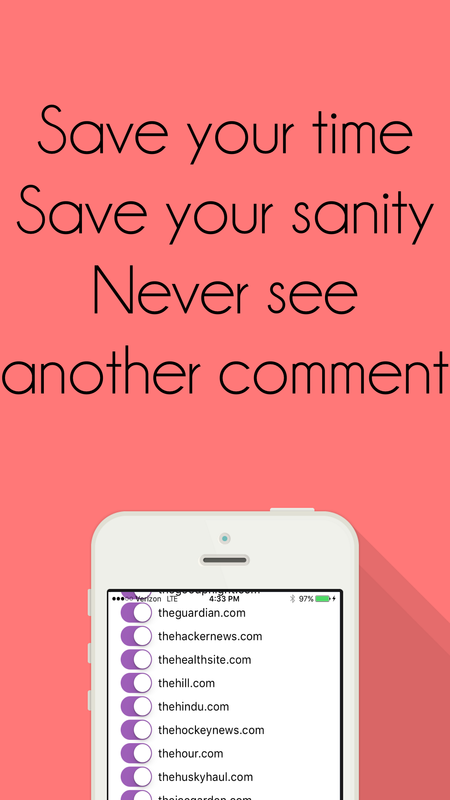 To combat this, First Rule is an extension that removes all comments from the internet. Available on both the desktop as a Chrome extesnion, and on iOS as an app, First Rule hides the comments on 1700+ websites. This leads you with a cleaner and more peaceful browser experience.